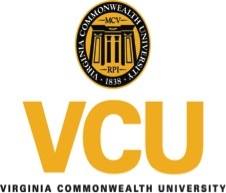 VCU School of Pharmacy Community Pharmacy Residency, is an ASHP-APhA accredited one-year (PGY-1) residency program that emphasizes practice innovation, along with design and implementation of patient care in community practice settings. The resident will have sufficient exposure to community pharmacies already engaging in innovative practices, yet will have ample opportunity to assist in the design and implementation of similar patient care services at other sites. Development of basic skills in practice-based research will be a component of the residency experience. In addition to direct patient care experiences, the resident will also gain experience in activities that will prepare them for roles as clinicians and educators upon completion of the residency. Several one-year residency positions in community pharmacy practice are available.